The Military Archives of the Defense Forces Ireland has added a number of interesting record sets to its website over the last couple of years (to learn more about them, click here). 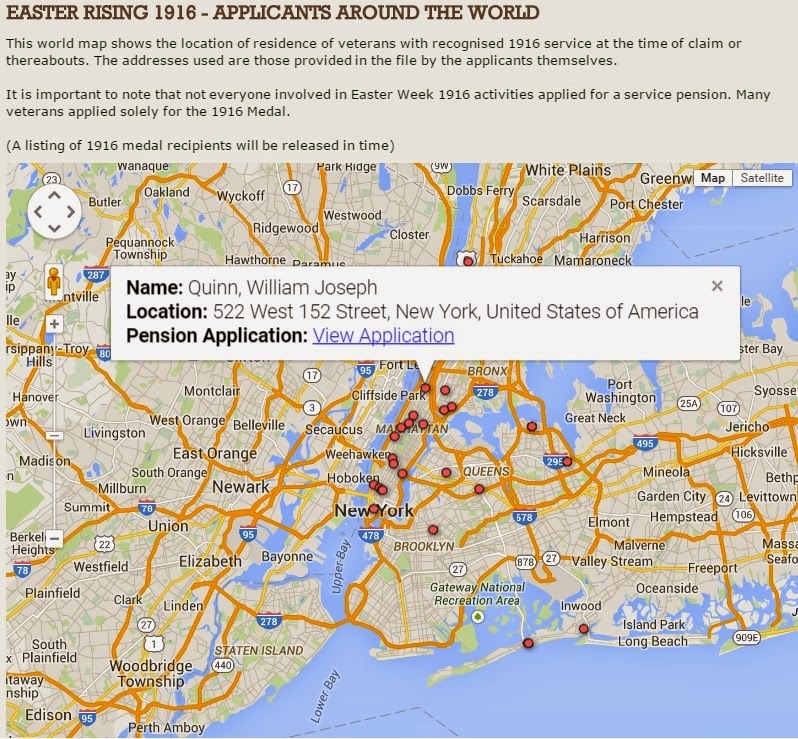 Recently, they added a map to their website that shows the residence of applicants for a pension based on their participation in the 1916 Easter Rising. The map is interactive and you can click on each map marker and access transcribed and digitized information about each applicant. As you can image, the majority of these applicants were living in Ireland when they applied. However, a considerable number were living in the U.S. and Canada. For example, William Joseph Quinn was living at 522 West 152nd St. in Manhattan, New York when he applied. He was involved in activities in Galway and was interned for his activities. His application states that he left Ireland in December 1920. This is just a sample of the very useful genealogical information that is supplied for each applicant. 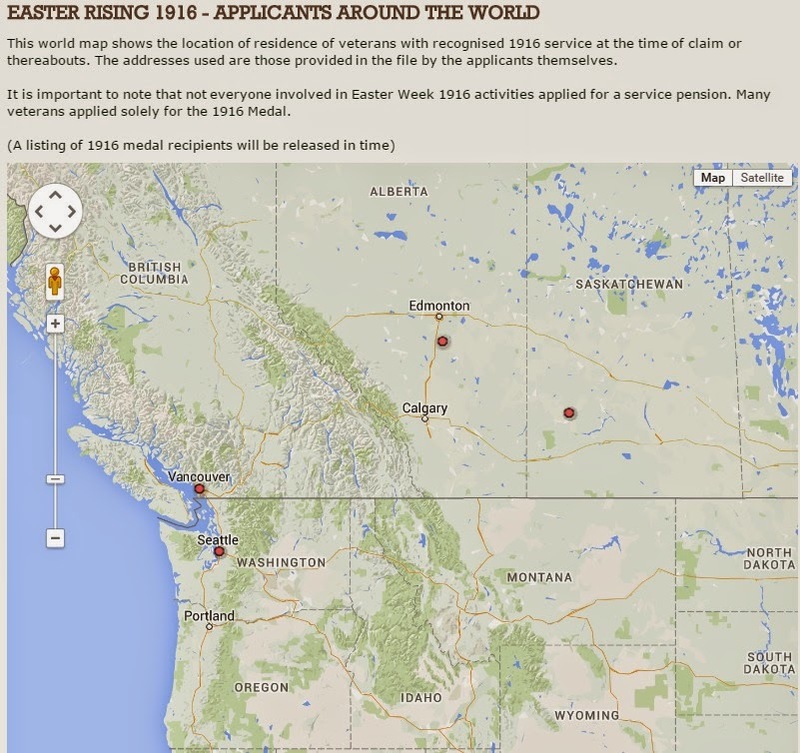 In total, almost 50 people were living in the U.S. an Canada when they applied. Click here to access the map. Note: not all those who were involved in Easter Rising activities applied for a pension. 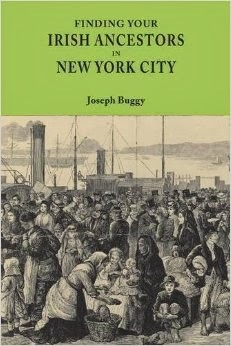 http://mspcsearch.militaryarchives.ie/detail.aspx?parentpriref= : accessed 11 April 2015), entry for William Joseph Quinn, address 522 West 152nd St. in Manhattan, New York.